Catalyst Architecture was been shortlisted for a 5,000 sq.ft. Multi-Use Green Building at Hoover Dam. As a design/build (DB) effort, Catalyst is teaming up with West Coast Contractors out of Reno, Nevada in pursuit of the contract. The project scope is intended to be a rebuild atop the foundations of the 1980's era Spillway House (aka "the Snackateria"). 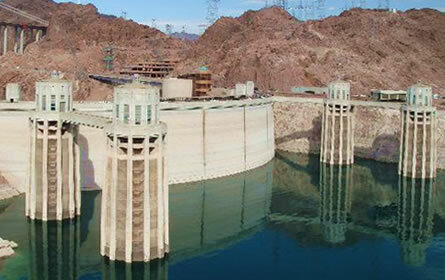 The existing building site is dramatically cantilevered over Lake Mead, with breathtaking views of Hoover Dam’s historic Art Deco Intake Towers, as well as the rugged terrain of the Lake Mead National Recreation Area.